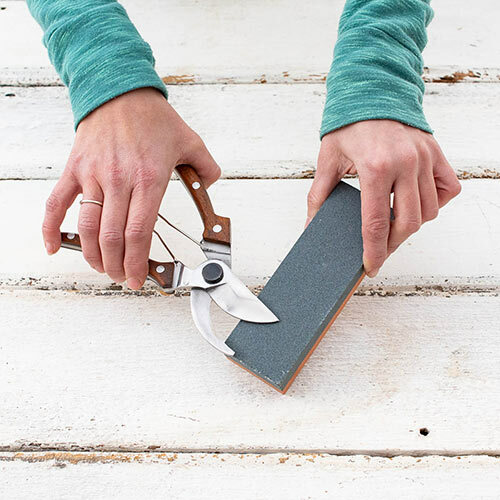 Our handy sharpener gives your old tools a new edge. Simply soak the whetstone in water and run it along the tool's edge. Use the grey side for the initial sharpening and the orange side for achieving a perfect finish.